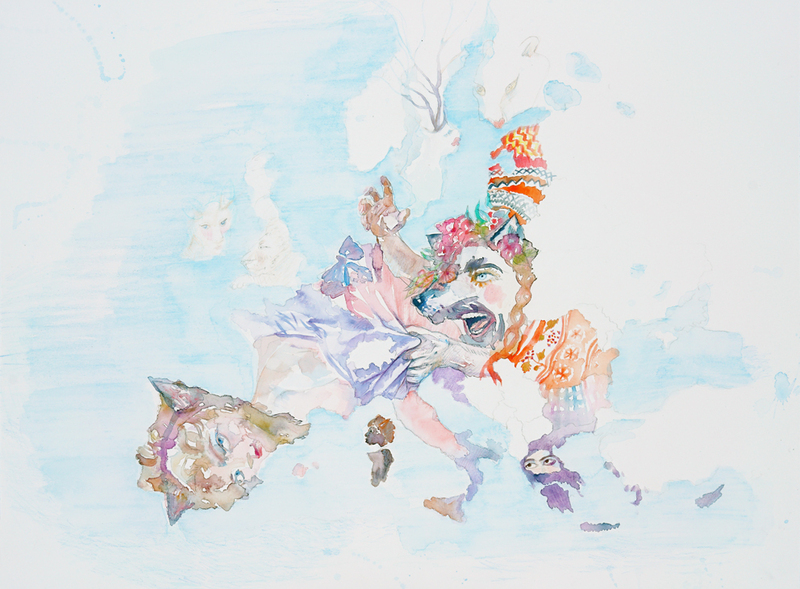 The series Nations Unleashed is inspired by the historical tradition of satirical maps, which employ animal symbolism and stereotypes to convey biting political critique and cover up human actions in the political the- ater. The human personification of continents and countries can be seen as early as the 13th century, such as on maps by Opicinus de Canistris. Human and animal metaphors on maps reached a new level in Europe be- tween 1845 and 1945 with political cartoon maps in which political leaders were often caricatured and Euro- pean nations were given symbolic identities that lent humor and accessibility to geographical maps. 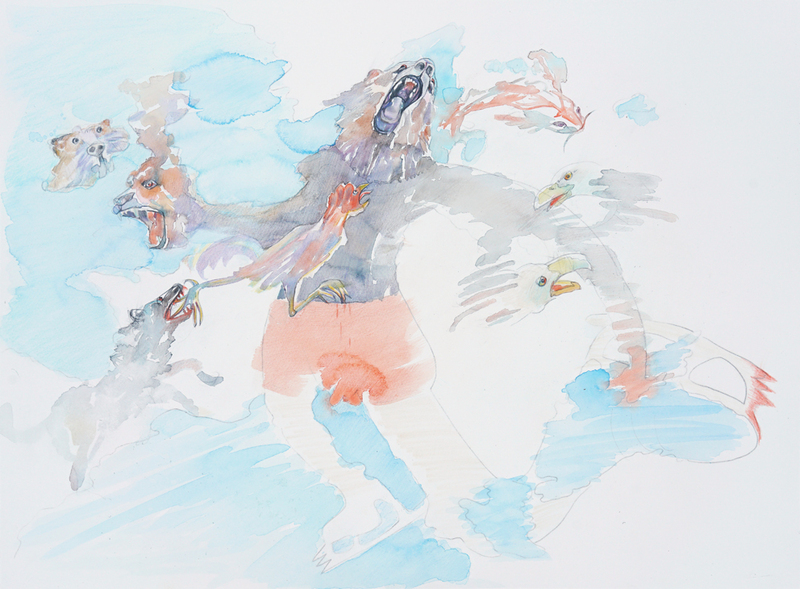 Nations Unleashed comprises 14 watercolor pencil on paper drawings. Delicately toned washes of blue sur- round loosely sketched landmasses populated by an array of diverse animals, each representing a critical political interest. Bliumis’ interpretations range from the literal – as in the American bald eagle – to the fanciful – as in a two-headed Scandinavian lion. What these maps lack in geographic accuracy is made up in thorough doses of imagination and humor, leaving further interpretation open to the viewer. The series uses satire and metaphor to comment on politics today and explores the popular political strategy of transferring blame from humans to animals using stereotypes and symbolism. It makes us aware of this rampant strategy of displacement, compelling us to critically reflect on the fine lines between fact and fiction in global geopolitics.